HP Pavilion 570-a135m Info: What Benefits Does This Inexpensive, Mid-Range Desktop Computer Offer to Users? Users can get a lot of work done with this PC. It comes with Windows 10, advanced graphics, plenty of storage space, and anything a user could need to transform their workspace. Each and every tower is put through over 100 rigged tests to ensure its durability, and the HP Pavilion 570-a135m is no exception. This is actually a space-efficient tower that can fit in just about any office corner or under a desk. It weighs just 12.57-lbs and measures 12.4-inches in width, 6.42-inches in depth, and 12.09-inches in height. Of course, it’s not just for the business sector. This HP Pavilion makes an excellent mid-range desktop for home users as well. It’s a versatile computer that can be used for a number of tasks. It comes with a USB optical mouse for the pointing device and a black keyboard that matches the chassis. VGA and HDMI video connectors are included for connecting the 570 up to a high-definition display. The AMD dual-core A9 processor APU has a 3.2-GHz base frequency. With turbo boost, it can go up to 3.5-Ghz. There is 1MB cache. The Turbo Boost technology delivers extra power when needed and increases energy-efficiency when it is not needed. For graphics performance, AMD Radeon R5 is included to enhance the overall power of the HP Pavilion 570-a135m. 8GB of memory and 2-DIMM slots (DDR4 2400 SDRAM) is pretty good when it comes to an affordable mid-range desktop such as this. The two drives include a 1TB SATA (7200-RPM) hard drive and DVD-writer optical drive. For extended storage, the memory card device is a 3-in-1 card reader that supports SDXC, SD, and SDHC memory card formats. There are two M.2 expansion slots. The optical drive not only plays DVDs, but reads and writes to a variety of media formats, including DVD-R / RW, DVD+R / RW, and CDs. Wireless connectivity isn’t just for laptops and tablets – it’s for desktops like the HP Pavilion 570-a135m as well. Next-generation wireless connectivity allows for it to be connected to any home or business network on all Wi-Fi standards. The Gigabit LAN port also allows for the desktop to be plugged into wired networks. The Bluetooth 4.2 interface syncs smoothly and efficiently with compatible devices. The power supply is a 90-W AC adapter. There are so many reasons to invest in this desktop. There are many positive HP Pavilion 570-a135m reviews from business users and home users alike. Its biggest advantages over other mid-range desktops seem to be its speed, high storage capacity, compact tower, and efficient performance. Is this the right type of desktop for you? 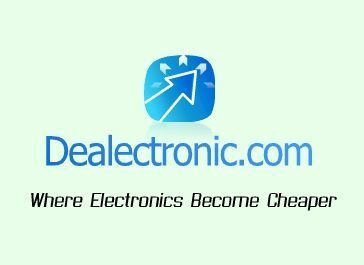 If so, have a look at some HP Pavilion 570-a135m coupons and get started with your shopping. The online HP store offers tons of great deals on desktops, printers, ink, monitors, and everything else you’ll need. 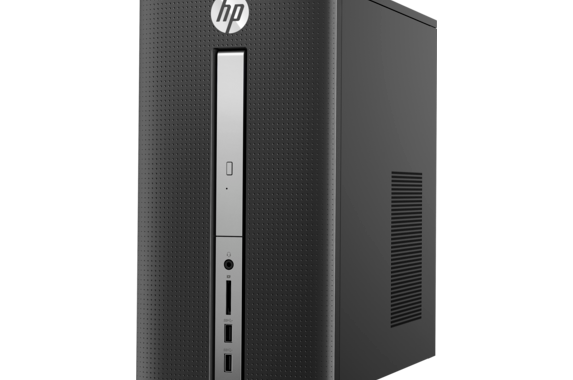 Posted in Desktop Reviews, HP Desktop Reviews, HP PC Reviews and tagged desktop, hp, hp desktop, hp pavilion 570-a135m.